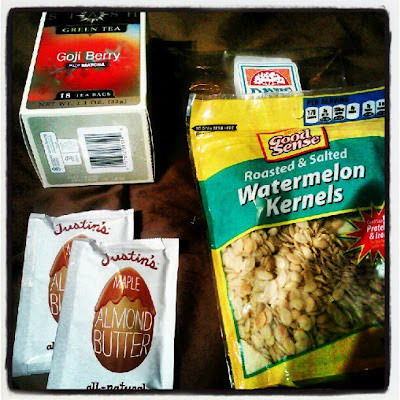 Look at these yummy treats I received in the vegan food swap from my partner Shelby over at Every Day Vegan Girl. I can see why the mail man forgot to give me my box (it was hiding at the PO for 5 or more days! )...Actually Shelby lives about an hour from me and I knew my package had to be at the PO and had the staff search for it because I wanted my stuff!!! I have been drinking the goji berry matcha tea daily, the Steaz energy drink was refreshing (I went out and bought more!) and so many other yummy treats I have been sampling like beet chips and lil healthy chocolate chip cookies! 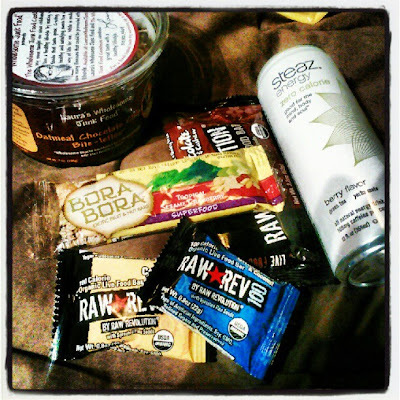 Thank you so much for the treats and introducing me to some new favorites! I just read about this swap over at "Hobby and More". Looks like a blast. I think I shall partake. You got quite a bounty there.